An architecture design study in the studio of Michael Sorkin on the Academy of Fine Arts, Vienna. 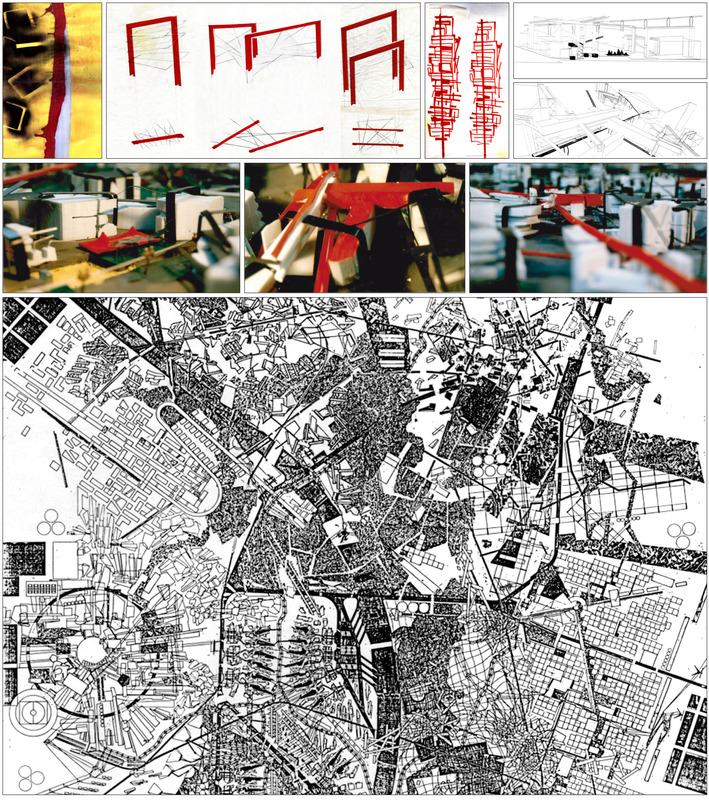 In cooperation with 8 architects a new city was designed in layout, structure and development. Planning of a nabegrame, and an urbanogram. A nabegram is a physical increment, an architectural increment, the scene of the satisfaction of the basic requirements of daily life, a building block of urban character, the bedrock of urban social order, what else. The medium for the urbanogram is the ARP, the analogue relief plan, an ARP has no specific scale, it is meant to be specific about certain relationships and proportions. It shooed show, for example, what is built and what is not. What is dense and what is spare, what is above and what is below, what is green and what is blue. The result should be an intricate textured, differentiated, analogue to the physical character of a city. The order of construction, sizes, patterns, differences, territories, blue orders, the order of waters, movement, commons, green orders, the orders of gardening, cultivation, parks, wilderness, untouched, materiality and texture, density, near and far - design of a city somewhere.